Everyone knows what good friends Hamza Ali Abbasi and Mahira Khan are, so naturally when we heard the duo had signed on to Bilal Lashari's Maula Jutt (official name TBA), we were over the moon. Finally we'd get to see them on the big screen. But a few days ago Tonight with HSY left us utterly disappointed upon hearing that the duo don't have a single scene together in the film! "He (Hamza) was the most excited about me joining Maula Jutt and it's funny how we don't have a single scene together." "I was a bit hurt." Being good friends and sharing funny names, it was nice to see Mahira praising Hamza's quality of listening to people's opinions without forcing his own upon anyone. Abbasi is known to be quite vocal on Facebook, but he revealed how important it was to use the social medium for a good cause, as it has immense reach. Hamza Ali Abbasi is not a part of Jaawani Phir Nahi Aani - pt 2, due to the genre of the movie but the decision to not appear again was mutual between him and the makers. While Fahad Mustafa will definitely be seen, Abbasi did reveal he does have a tiny scene which may be added as a phone call or something, so the audiences can form some connection with Mustafa's character in his place. 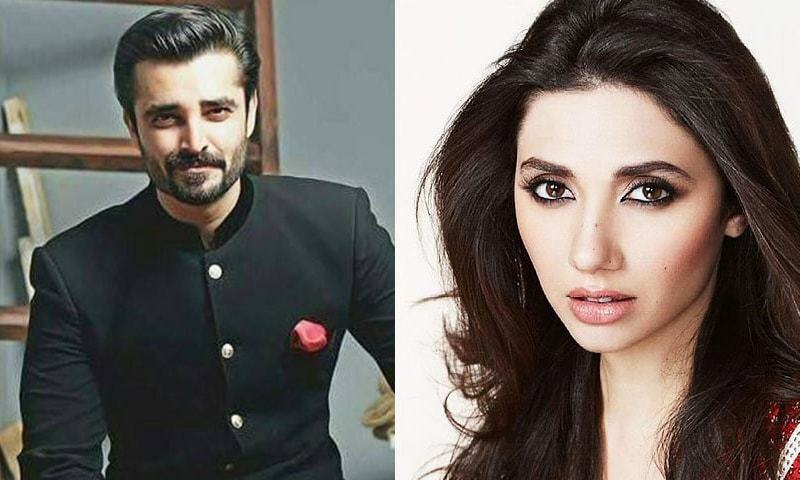 While we will miss not seeing Mahira and Hamza together in Maula Jutt, we do hope the duo sign a movie in the future that features them together. That would be a treat for all.